President Barack Obama greets inmates during a visit to El Reno Federal Correctional Institution in El Reno, Okla., on July 16, 2015. When she was 20 years old, ninth-grade dropout Stephanie Nodd helped a man find places to sell crack cocaine in her hometown of Mobile, Ala.
She also sold some herself to make money. She said she helped the man for six weeks, then quit. Three years later, Nodd and several others were convicted of conspiracy to distribute 8 kilograms of crack cocaine. Nodd’s conviction carried a stiff penalty in 1990, thanks to strict mandatory minimum sentencing rules for crack: three decades in federal prison, with no chance of parole. President Barack Obama thought the criminal justice system was too harsh on nonviolent drug offenders like Nodd. As he leaves office, Obama’s tenure may be most widely remembered for strained relations between minorities and police over shootings of unarmed citizens and for unsuccessful calls for stiffer gun regulations after repeated deadly massacres. Less understood but impacting thousands of Americans and their families is how the first black president worked to overhaul the punishments for crimes that disproportionately affected minorities. His platform promised particular relief from penalties for crack cocaine, which required stricter sentencing than powder cocaine crimes. It started with a successful review of mandatory minimum sentencing guidelines “to see where we can be smarter on crime and reduce the ineffective warehousing of nonviolent drug offenders." Progress continued with the signing of additional legislation targeting convicts like Nodd, who didn’t have any prior convictions before she went to prison 20 years earlier. While it took some time to see reductions in the number of drug-related prisoners and the lengths of their sentences, the rules did change. In his later years, Obama turned to his executive powers to commute federal prison sentences at an unprecedented rate. "I think many people were disappointed during his first term,” said Marc Mauer, executive director of an reform advocacy group called the Sentencing Project. “What he's been doing since then has been remarkable." Back in the 1980s, as violent crime rates surged across America, Congress wanted to get tough on crime. One strategy was to pass laws for mandatory minimum sentences for federal prisoners, mostly for drug crimes or gun offenses. Supporters said mandatory minimums deterred crime and made sentences more uniform. Opponents said the guidelines led to more plea agreements and shackled judges to specific punishments. The undisputed result: Prisons flooded with nonviolent drug offenders. By 2008, about 95,000 people were in federal prison on drug charges, according to the Bureau of Justice Statistics, up from 61,500 a decade prior. Most of the inmates had faced low-level trafficking charges. After Congress passed the Anti-Drug Abuse Act of 1986, the federal prison population skyrocketed. So did the number of people sentenced for drug offenses, in part because harsh sentences were imposed for crack cocaine offenders, including first-time criminals with no prior record. The number of inmates across all federal facilities continued to surge into Obama’s presidency, peaking at more than 219,000 in 2013. As elements of the Fair Sentencing Act of 2010 came into effect, including sentence reductions for crack cocaine offenders, the population began to drop as people were released and penalties changed. Molly Gill, director of federal legislative affairs at Families Against Mandatory Minimums, pinpoints the 1986 death of University of Maryland basketball player Len Bias as a flashpoint in the disparity in drug sentencing. It was mistakenly reported that Bias had died after using crack cocaine (it was actually the powder form) while celebrating being drafted by the NBA’s Boston Celtics. Reagan pushed law enforcement to focus on drug arrests, while Congress responded by passing the Anti-Drug Abuse Act of 1986. That law created mandatory minimum sentences for drug trafficking, including the “100-to-1” ratio for crack cocaine offenses. Under the new sentencing guidelines, 5 grams of crack cocaine would result in a five-year prison term. It took 500 grams of powder cocaine to get that same five-year sentence. In 1988, Congress further instituted a five-year mandatory minimum sentence for first-time offenders caught in possession of 5 grams of crack cocaine. No other first-time possession drug offense required a mandatory minimum sentence of any prison time. He found willing partners in Congress. But he wouldn’t get a full fix. A pair of bills addressing uneven sentencing moved through Congress early in Obama’s first term. The first was an authorization bill Obama signed in October 2009, which funded Obama’s review into alternatives for mandatory minimum sentencing. Congress gave the U.S. Sentencing Commission, a panel that advises judges on prison sentences, a year to provide a report to the House and Senate judiciary committees. The commission had not significantly reviewed those guidelines since 1991. 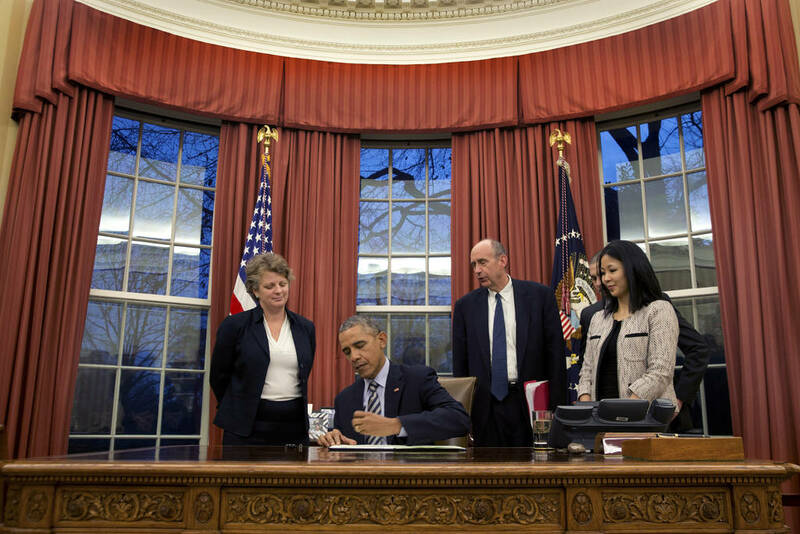 President Barack Obama signs letters commuting the criminal sentences of 95 federal prisoners and pardoning two others in the Oval Office on Dec. 17, 2015. As the commission got to work — fulfilling Obama’s promise — the Democrat-controlled Congress passed another measure that dealt with another Obama-backed cause. The Fair Sentencing Act of 2010 initially would have both gotten rid of first-time sentences and the 100-to-1 ratio for crack cocaine offenses. After negotiation in Congress, the bill repealed the mandatory minimum sentence for first-time offenders convicted of simple possession of crack cocaine. The measure earned bipartisan support, including from Sen. Jeff Sessions, R-Ala., the former U.S. attorney who had led the office that prosecuted Stephanie Nodd. Sessions is now President-elect Donald Trump’s nominee for U.S. attorney general. "I will not favor alterations that massively undercut the sentencing we have in place, but I definitely believe that the current system is not fair and that we are not able to defend the sentences that are required to be imposed under the law today,” he said in a 2009 Senate speech about the bill. Instead of eliminating the 100-to-1 ratio for crack cocaine, the law only reduced it to an 18-to-1 ratio. That revised the amount of crack cocaine that had to be involved to trigger a mandatory minimum sentence, but it didn’t make the amounts equal to powder cocaine. Obama signed the Fair Sentencing Act into law in August 2010. Because the bill only reduced the crack cocaine disparity instead of eliminating it, we rated this promise a Compromise. The Fair Sentencing Act had vast consequences for the judiciary, even if it wasn’t entirely what Obama hoped for. Prosecutors pursued fewer crack cocaine charges in federal court, for one. “Since its passage, the number of crack cocaine cases in the federal court system dropped by 50 percent,” Gill said. Sentencing Commission data backs that up. The changes also retroactively allowed about 7,750 crack offenders to seek reduced sentences, Gill said. Those convicts had their sentences reduced by an average of two years. Nodd, who entered prison five months pregnant and with four other children, was one of those cases. 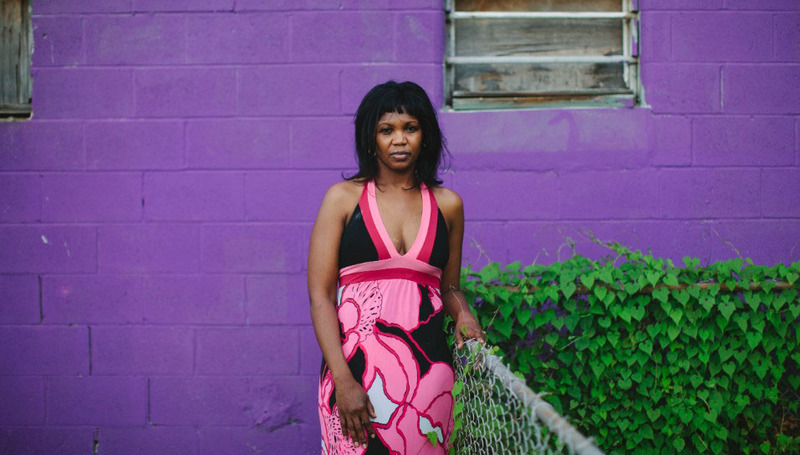 Stephanie Nodd’s conviction of conspiracy to distribute 8 kilograms of crack cocaine carried a stiff penalty in 1990, thanks to mandatory minimum sentencing rules for crack: three decades in federal prison, with no chance of parole. However, in 2011 Nodd received clemency due to a change in the law. Her conviction of conspiracy to distribute crack cocaine made her responsible for 8 kilograms of the drug. It could have been a life sentence under the guidelines in effect at the time, but the sentencing judge noted she was not the organizer of the drug ring and was so young she likely had been influenced by those above her. She was sentenced to 360 months. She had used her time in prison to earn her GED and to take some college courses. She completed training in culinary arts and learned to drive a forklift. Nodd wanted to get out and restart her life. She was granted a reduction and was released in 2011 after serving 21 years. She had to readjust to a world that now had the Internet and cellphones. She had to get a driver's license and mend her family ties, especially with her adult children. Today Nodd has a job as an inventory manager with a trucking company in Mobile, and is an advocate for sentencing reform. “I’m going to continue to speak out about this, as long as the law is still unfair,” she said. The Sentencing Commission submitted its new report in 2011. The report recommended to Congress that mandatory minimums be eased, because they were both too severe and applied inconsistently, notably among minority groups. The report showed that mandatory minimum sentences didn’t deter criminals the way Congress had hoped, the Sentencing Project’s Mauer said. Most prisoners were low-level offenders like Nodd — not drug kingpins. Former Attorney General Eric Holder then announced in 2013 that the U.S. Justice Department would seek to charge defendants with crimes “better suited to their individual conduct” rather than lean on mandatory minimums. The Sentencing Commission also found confusion in the justice system about just how mandatory minimums applied to drug sentences. So in 2014, the commission chose to revamp how sentencing guidelines were applied — a process referred to as the “drugs minus two” amendment. Essentially, sentencing rules were recalculated, and again, many federal inmates could apply for retroactive reductions in their sentences. In this case, Obama’s Justice Department wasn’t as eager to hand out the reductions under this change. It asked the commission to curb how many prisoners could apply for reduced sentences, citing concerns over cost, workload and public safety. Ultimately, about 30,000 more inmates won reductions averaging 25 months through the change. Almost 6,000 of those sentences were for crack cocaine — 87 percent of which were being served by African-American prisoners. Skeptical of long drug sentences, Obama promised to pursue alternatives to filling prisons with drug offenders. He wanted to put resources into allowing people facing first-time convictions in nonviolent cases to potentially go to drug treatment instead of a penitentiary. With the administration’s clear focus on rehabilitation, we rated that a Promise Kept. Obama also wanted to expand drug courts to the federal level. Drug courts, in which offenders are often sentenced to attend supervised treatment programs instead of prison, are almost entirely used at the state or local level, although many receive federal grants. The federal courts did not come to fruition, but Obama did help enhance and grow drug courts in states, so we rated that promise a Compromise. Revamping sentencing guidelines became a relatively bipartisan issue in Congress through the 2016 election season. House and Senate Republicans introduced legislation in October 2015 that would have reduced mandatory minimums and given judges more leeway in sentencing. As of January 2017, almost 83,000 people (some 46 percent of inmates) remain in federal prisons on drug offenses. 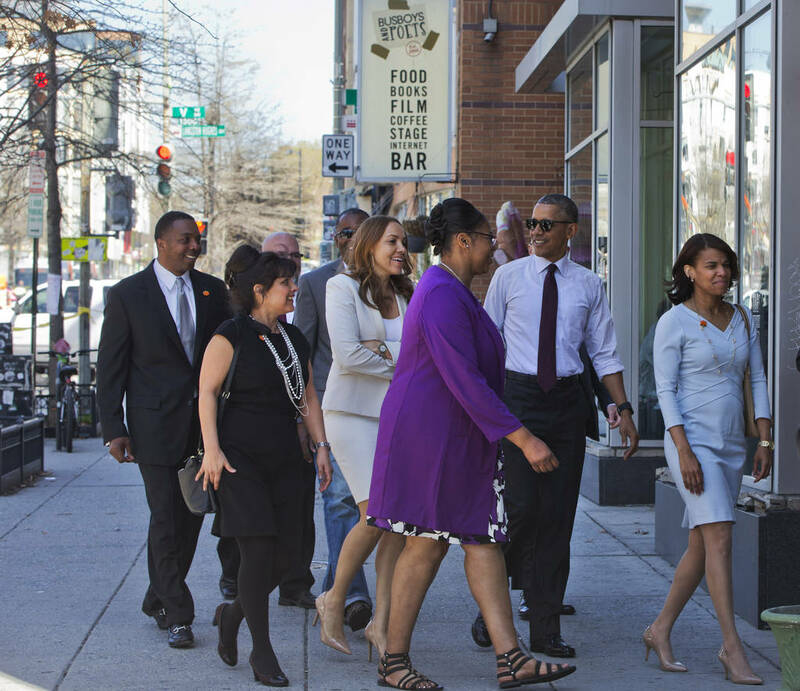 President Barack Obama walks into Busboys and Poets restaurant in Washington, on March 30, 2016, to meet with formerly incarcerated individuals who have previously received commutations. Nearing the end of his term, Obama started to deal with long sentences in yet another way. He re-examined cases in which nonviolent offenders had met criteria, such as getting an education and earning time off for good behavior while incarcerated. Under this clemency initiative, many nonviolent offenders are due to be released years earlier than previously sentenced. He has commuted terms for 1,176 people, including 395 serving life sentences, mostly for drug offenses. He’s pardoned a total of 148 others for crimes ranging from felony firearm possession to involuntary manslaughter. That’s more commutations than the last 11 presidents combined. “At the heart of America is the idea that we're all imperfect. We all make mistakes. We have to take responsibility and learn from those mistakes,” Obama wrote in a Nov. 22, 2016, Facebook post. “And we as a society have to make sure that people who do take responsibility for their mistakes are able to earn a second chance to contribute to our communities and our country.